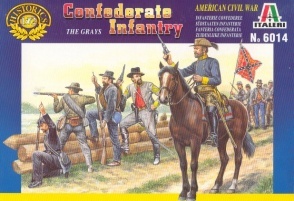 6014Confederate Infantry. Released 1998. 51 unpainted plastic figures. 14 different Poses. Material Plastic.